Elegant classical design with flared rim and square base. 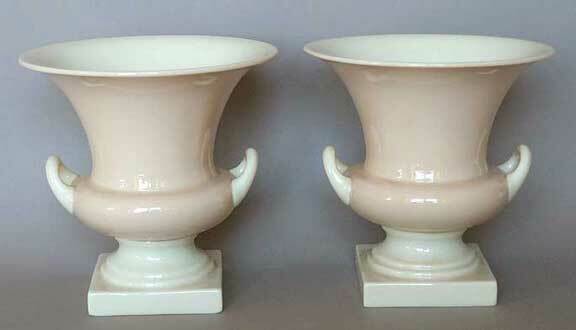 Delicate peach color with white base, handles and interior. Mark in green on base. 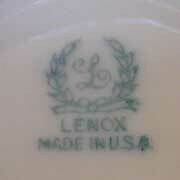 Founded in Trenton,New Jersey in 1889, Lenox China aimed to make the finest porcelain in the United States. From 1918 they were appointed to make several official services for the White House. Lenox produced elaborate handpainted vases as well as elegant modern designs from the 1930s, 1940s and 1950s. The factory closed in 2005.